While at Hastings I decided to get this HUGE book of word searches. I have been addicted to these lately. They are kinda mind numbing, but yet, they work your mind out. I hope that made sense. I am lovin' it already!! 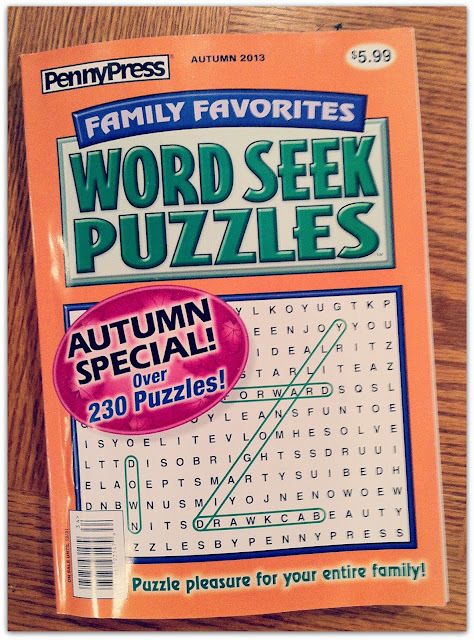 Anyone else love word searches? Just curious. I wish I was good at crosswords, because I so want to do them. Whenever I attempt them I just fail miserably though. lol I need to find like baby crosswords I guess. At least till I can get better at them. ;) Anyways, I will leave you with a picture of my word search book. Ta Ta For Now!! Cheap eh? Makes it even more exciting! !